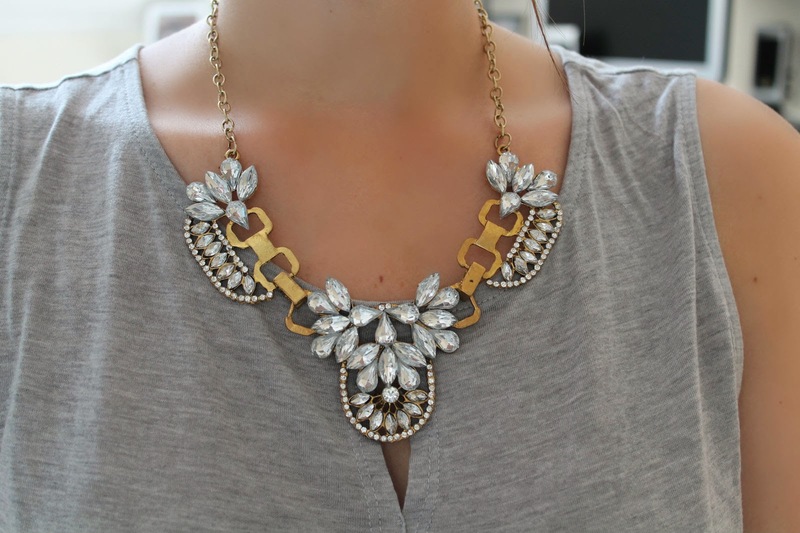 Statement necklaces at Forever 21, the Six and Zara make my fashion heart beat faster. But when I turn the price tag to check I often leave it hanging on the rack. Statement necklaces aren't my everyday pieces and I don't wanna spend €30 on an item I only wear twice. 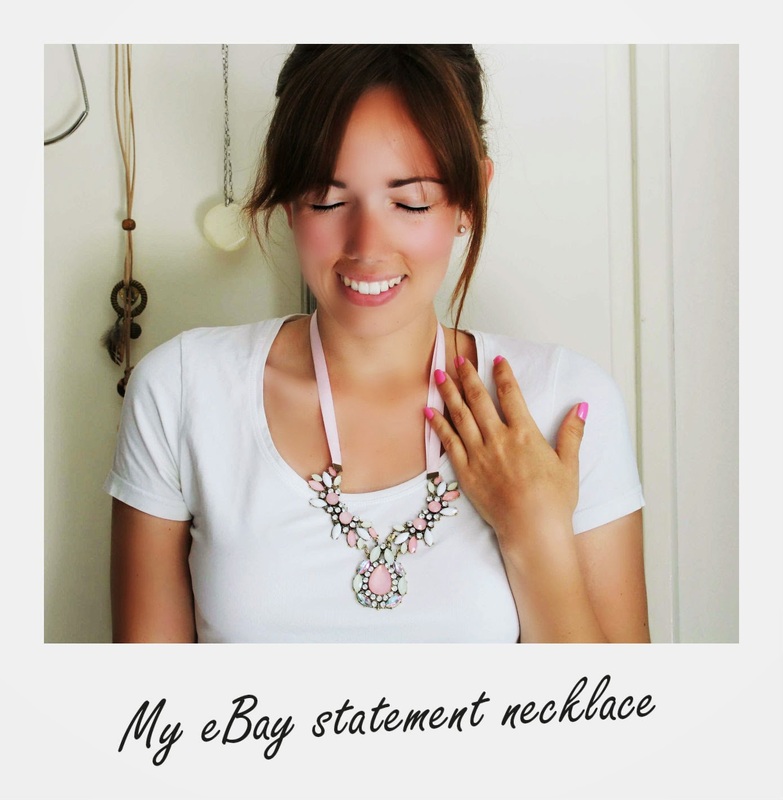 So when I found out about the amazing deals eBay sellers offer on necklaces I couldn't resist! Last week these two buys arrived at my house! So the first one that arrived (2 days earlier) is a pastel colored gemstone waterdrop ribbon necklace that can be purchased here. (whoever came up with that name must really like adjectives and adverbs). I love how flat it lies on my chest and doesn't move around to much. 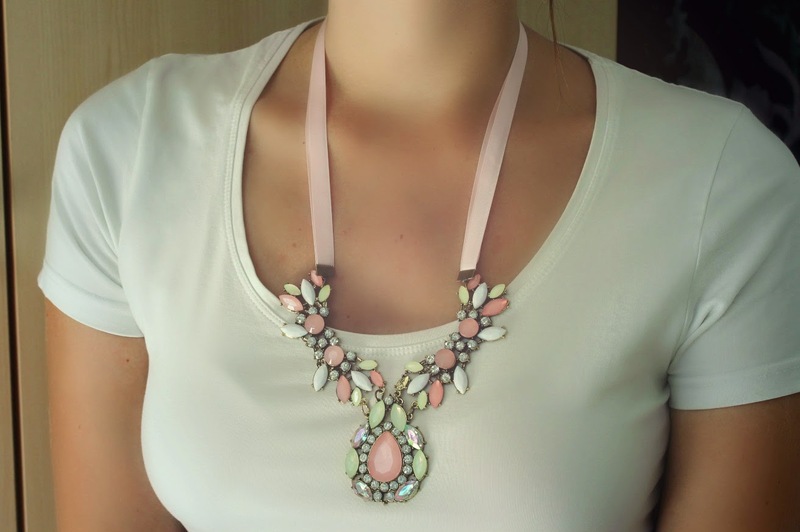 I combine this necklace with white and pink clothing items but I might like it with black also! The second necklace is very easy to blend into an outfit. I combined it with my grey top from H&M that I love. Statement necklaces make perfect combinations with basic tees! I didn't expect the golden details to be as dark as they are but I love this necklace nonetheless. Want one? Click! Both necklaces took about three weeks to get here but I don't mind because that's what happens when you order from the other side of the world! I'm not so happy about the quality of the first necklace because when I opened the packaging the ribbon of the pink necklace was only secured on one side. I can imagine things as vulnerable as jewelry getting damaged during it's journey. But the second time wearing, one of the gems fell off and so did the clasp. Luckily there's nothing a plier and steady hand can't fix. Overall I'm extremely happy with the necklaces I bought from eBay and I strongly advice you to search on eBay before you empty your entire bank account at the River Island counter. I paid $6,54 for the two necklaces together which comes down to about €4,80. A steal! 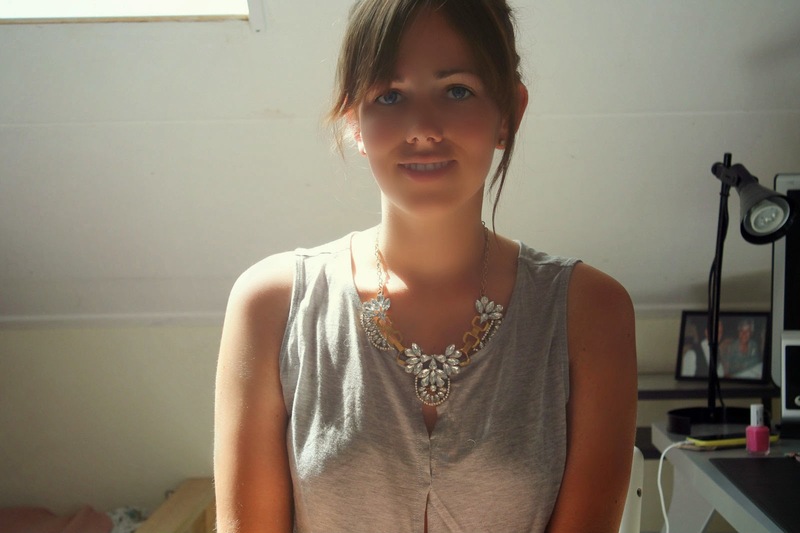 wat een mooie ketting! lang leve Ebay! 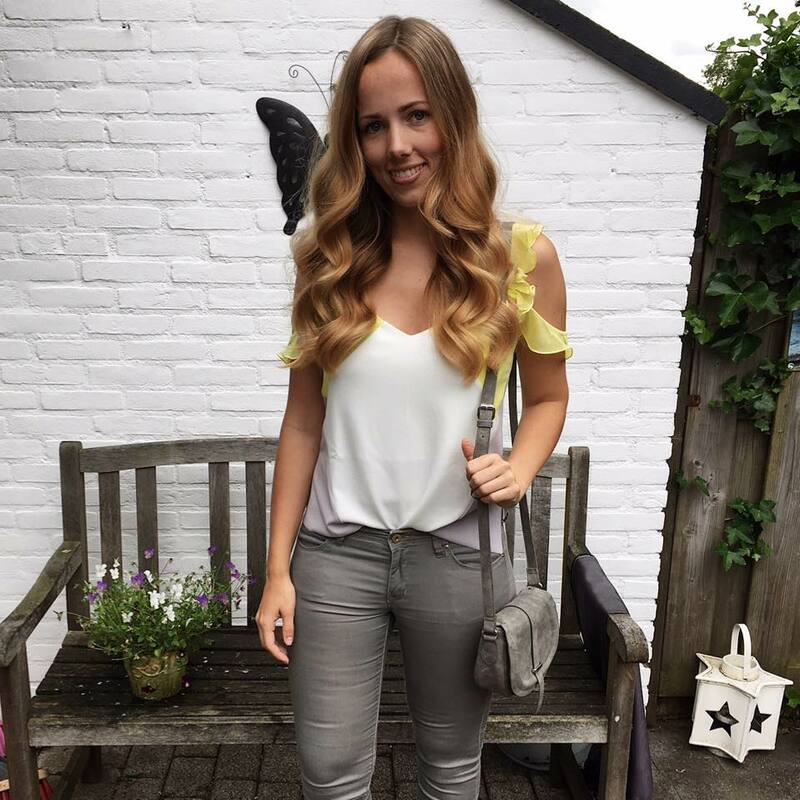 Ik heb ooit bij Alé Hop in Spanje ook een superleuke statement necklace gekocht. Weet niet of ze een webshop hebben, maar die prijzen zijn de moeite waard. Die eerste ketting is echt super leuk!